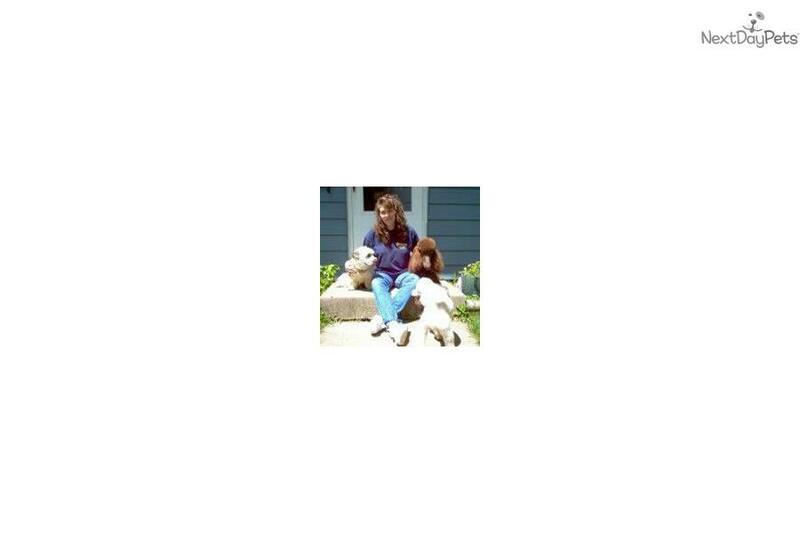 AWESOME PAWS is a top-notch, quality Illinois breeder of Moyen/Klein Poodle and Aussiedoodle Puppies (in solid, merle, phantom, parti and cafe au lait colors). 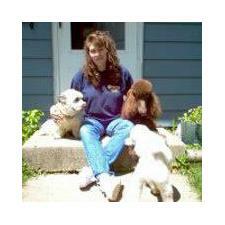 With 24 years of experience, we pride ourselves on the quality, temperament, personality and health of our animals. Our puppies are born into a loving family environment, surrounded by children, cats and dogs of all sizes. They are raised in my home (not a kennel) and nurtured FROM DAY #1 until they are ready to go to their new home. When they are 6 weeks old, they start coming to work with me at my doggy daycare / grooming / obedience center where they get tons of socialization. My puppiesare very outgoing, lovable and very laid back. They are taught manners-no jumping, no biting or nipping, no mouthing, no barking. They are crate trained and 90% house broken; they ride well in the car and follow you everywhere! MOOSE, a Black phantom moyen male poodle puppy, is a wonderful puppy. Not only does he has an AMAZING personality, but he is TRAINED! He is...View the complete puppy profile for more information.